Soobin Yim is a doctoral student in the School of Education, specializing in Language, Literacy, and Technology (LLT). After five years of work experience in Korea in the field of TESL, Soobin pursued a master's degree at the Harvard Graduate School of Education on the Rotary Ambassadorial Scholarship. During her studies at Harvard, she became interested in the use of technology both as a scaffolding tool for second language learning and as an empowering tool for participation and collaboration in the knowledge economy. This motivated her to pursue a Ph.D degree under the guidance of Dr. Mark Warschauer at UC Irvine. 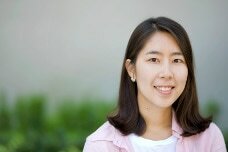 Soobin's research interests include second language (L2) learners’ digital literacy development, CALL (Computer-Assisted Language Learning), K-12 writing instruction and intervention, and EAP/ESP (English for Academic/Specific Purposes). Soobin is a recipient of the TIRF Doctoral Dissertation Award, Phi Beta Kappa International Scholarship, and the Korean Honor Scholarship. Yim, S., Zheng, B., & Warschauer, M. (in press). Feedback and revision patterns in cloud-based writing environment: Variation across Feedback Source and Task Type. Writing and Pedagogy. Yim, S., Wang, D., Olson, J., Vu, V., & Warschauer, M. (2017). Synchronous Collaborative Writing in the Classroom: Undergraduates’ Collaboration Practices and their Impact on Writing Style, Quality, and Quantity. Proceedings of the 20th ACM Conference on Computer-Supported Cooperative Work and Social Computing. Yim, S., & Warschauer, M. 2017). Web-based Collaborative Writing in Second Language (L2) Contexts: Methodological Insights from Text Mining. Language, Learning, and Technology, 21(1), 146-165. Yim, S., Saito-Stehberger, D., & Warschauer, M. (in press). The long view. In J. I. Liontas (Ed. ), The TESOL Encyclopedia of English Language Teaching. Hoboken, NJ: Wiley. Zheng, B., Yim, S., & Warschauer, M. (in press). Social Media in the writing classroom and beyond. In J. I. Liontas (Ed. ), The TESOL Encyclopedia of English Language Teaching. Hoboken, NJ: Wiley. Yim, S., Warschauer, M., & Zheng, B. (2016). Google Docs in the classroom: a district-wide case study. Teachers College Record, 119(9). Yim, S., & Warschauer, M. (2016). CALL and Electronic Media. In K. Hyland & P. Shaw (Eds. ), Routledge Handbook of English for Academic Purposes (pp.592-607). London: Routledge. Yim, S., Niiya, M., & Warschauer, M. (2015). E-inclusion in education: Lessons from five countries. In K. Andreasson (Ed. ), Digital divides: The new challenges and opportunities of e-inclusion. (pp.181-202). Florida: CRC Press. Warschauer, M., Tate, T., Niiya, M., Park,Y., & Yim, S.(2014). Supporting Digital Literacy in Educational Contexts: Emerging Pedagogies and Technologies. International Baccalaureate Organization. Yim, S., Zheng, B., Warschauer, M., & Lawrence, J.F. (2014). Cloud-based Collaborative Writing and the Common Core State Standards. Journal of Adolescent and Adult Literacy, 58(3), 243-541. Yim, S., & Warschauer, M. (2013). Technology and second language writing: A framework-based synthesis of research. In Pytash. K., & Ferdig. R. (Eds.). Exploring Technology for Writing and Writing Instruction. (296-311). IGI Global. Lawrence, J.F., Galloway, E. P., Yim, S., & Lin, A. (2013). Learning to write in middle school? Insights into adolescent writers' instructional experiences across content areas. Journal of Adolescent and Adult Literacy, 57(2), 151–161. Zheng, B., Yim, S., & Warschauer, M. (April, 2016). Collaborative Writing Patterns in a Cloud-Based Environment. American Educational Research Association. Washington, U.S.
Zheng, B., Yim, S., Warshcuaer, M., & Lawrence, J.F. (Novermber, 2014). Cloud-based Collaborative Writing and the Common Core Standards. Literacy Research Association. Florida, U.S.
Lawrence, J.F., Galloway, E. P., Yim, S., & Lin, A. (November, 2012). Macro-contextual factors impacting the development of proficient analytic writers: Insights into the literacy lives of adolescents gleaned from a comprehensive document analysis. Literacy Research Association. San Diego. Yim, S., Lawrence, J.F., Phillips, E., & Lin, A. (July, 2012). Content area writing in an urban U.S. middle school and implications for EFL contexts. Paper to be presented at the Korea Association of Teachers of English (KATE) International Conference, Seoul, South Korea.